On February 27, the entire Nebraska Christian junior class loaded onto the bus and set out on their journey to the frozen tundra, otherwise known as Minnesota. After an 10-hour bus ride, with a stop at Chick-fil-a on the way, they finally arrived at the Best Western Hotel in the suburbs of Minneapolis. The bags were unloaded, room keys distributed, and itinerary reviewed. 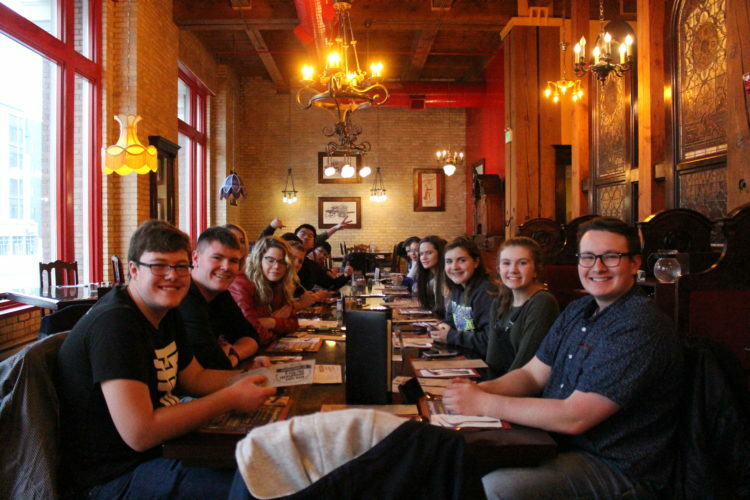 The junior trip is marked as a worldview trip that gives students a taste of city life and both the pros and cons of going to either a secular or private college, along with giving the class a chance to bond. The juniors visited the University of Minnesota and the University of Northwestern in order to experience the feel of a state college (UMN) verses a private college (UNW). On the last day of the trip, the juniors got the opportunity to go to David Wheaton’s house to be a live audience for his radio program, “The Christian Worldview.” The night before, David asked the students to write down their top questions on apologetics, to be asked on air to a guest speaker from the organization “Stand to Reason.” Some questions that were asked included “Why does God need glory?” and “How do you prove to someone that the Bible is the ultimate source of truth?” They ended their time by singing a hymn and closing in prayer for the trip home and for continued growth in the lives of all the students present. After their time at David Wheaton’s home, the junior class once again loaded the bus and headed home to Nebraska. After another long bus ride (with a stop at Chick-fil-a along the way), they finally arrived at NC. Bags were unloaded, goodbyes were said, and they all headed home. Overall, the trip was a major success, and the junior class is extremely grateful to have had the opportunity to go. Top Photo: The juniors pause for a picture at the Old Spaghetti Factory during the junior trip. 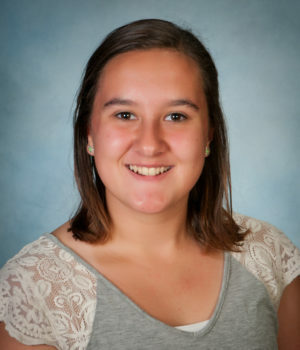 Josie Maberry is a member of the class of 2020. This will be her second year at NC, along with her two brothers, Clay and Justin. She lives in Central City.